Acalypha is a genus consisting of shrubs and ground covers with colourful leaves which are mostly heart-shaped, while some species are pale green. They are native to most tropical and sub-tropical regions of the World. 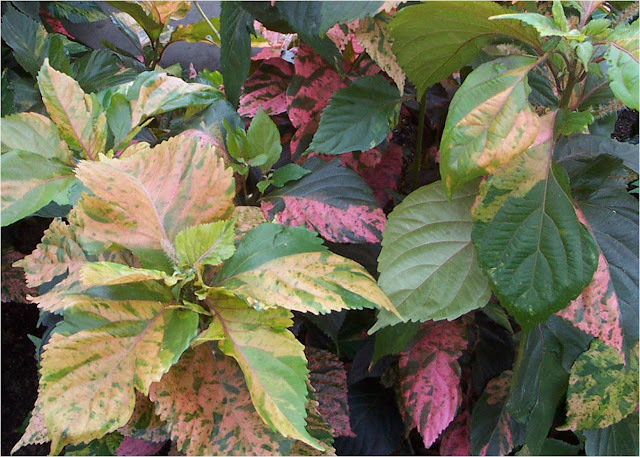 Today, I will be talking about Acalypha Wilkesiana (Tricolour). 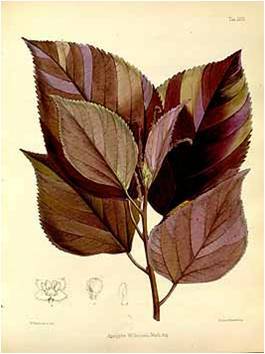 It is native to Vanuatu and a few other Pacific Islands. It is a shrub which grows to about 3 metres with brittle branches. It is best pruned as it can become leggy. The leaves come in all colours of the rainbow. Sometimes the leaves can be a completely different colour on the same plant. They can have lots of different shapes too, some flat, some curly and some lobed. 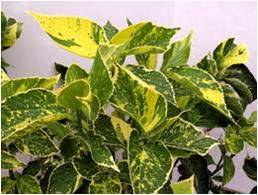 As a foliage plant the flowers are insignificant, having little dupes hidden among the leaves. 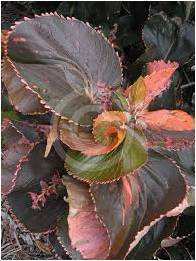 Acalypha Wilkesiana requires a tropical to sub-tropical climate. Even just cold can set it back, making it drop some leaves, while frost will kill it. But in a warm spot it will grow well in a moist, well-drained soil. Grasshoppers love chomping on this plant and it is also prone to powdery mildew. 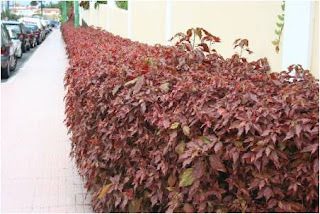 It makes a spectacular hedge especially when different forms are planted. They are commonly cultivated in Coffs Harbour with some impressive specimens on the highway on an embankment on the left side heading South from Combine Street.